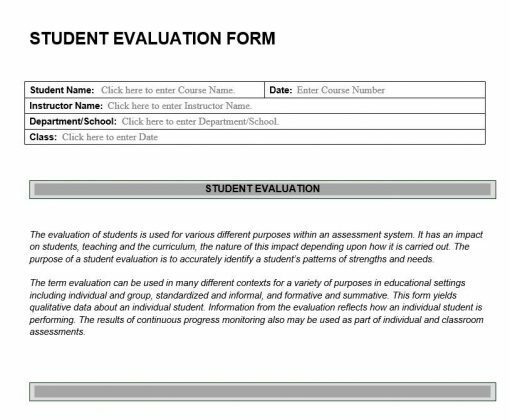 Student Evaluation Form provides a platform for teachers and administrators to provide a student feedback outside of traditional grade based evaluation. The form examines the areas of work ethic, responsiveness, aptitude and performance. 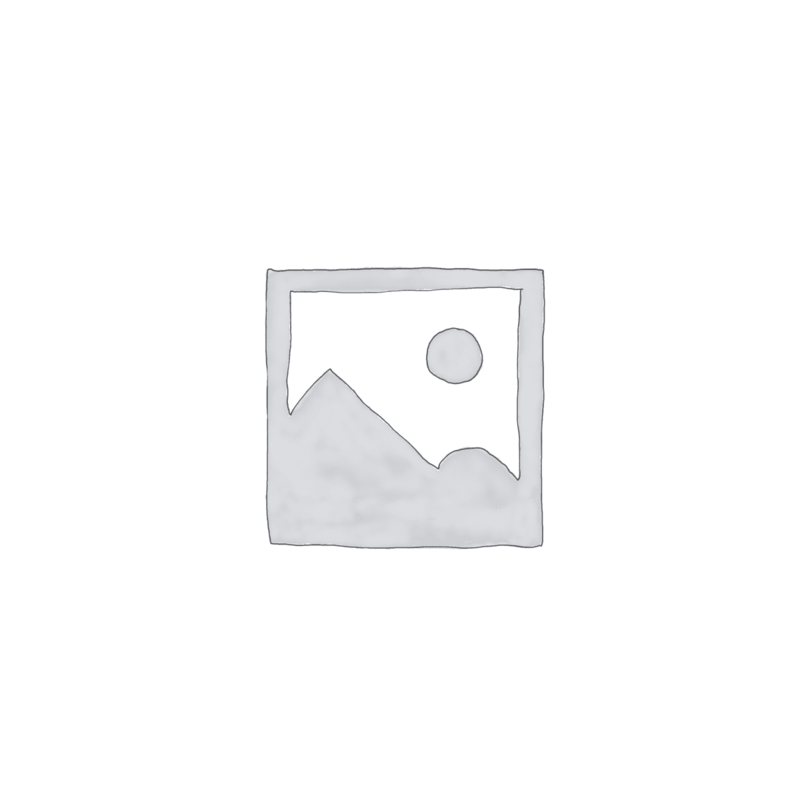 The evaluation of students is used for various purposes within an assessment system. It has an impact on students, teaching and the curriculum, the nature of this impact depending upon how it is carried out. 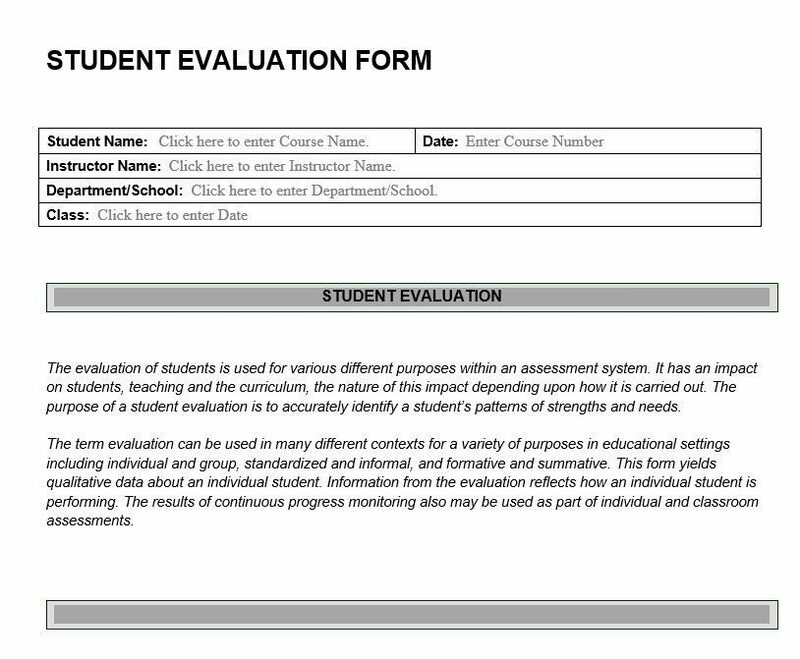 Student Evaluation Forms are used to determine what students can and cannot do, in contrast to what they do or do not know. In other words, an alternative assessment measures applied proficiency more than it measures knowledge. A recent report shows that performance-based assessment works well for the types of students that test-driven “reforms” are supposed to benefit but so often fail. The purpose of a student evaluation is to accurately identify a student’s patterns of strengths and needs. 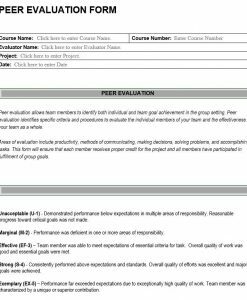 The term evaluation can be used in many different contexts for a variety of purposes in educational settings including individual and group, standardized and informal, and formative and summative. This form yields qualitative data about an individual student. 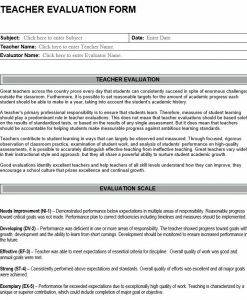 Information from the evaluation reflects how an individual student is performing. The results of continuous progress monitoring also may be used as part of individual and classroom assessments.